Willard G. Bodwell (1842-1864) was born in Stanstead, Canada East, part of a Quebec county so close to the border of Vermont that residents petitioned in 1850 to become a part of the United States. He was enumerated on the January 13, 1861 census of Quebec as a farm laborer living in Stanstead with his parents Andrew and Sarah Bodwell, although an older brother and sister may have been visiting from the U.S. On July 5, 1861 when he mustered with Company H of the Massachusetts 14th, he is listed as a hostler living in Andover, but he doesn’t appear to have any close family relationship to any of the other Bodwells who lived in Andover at the time. With the rest of Company H, he was assigned to garrison duty in the area surrounding Washington, DC. 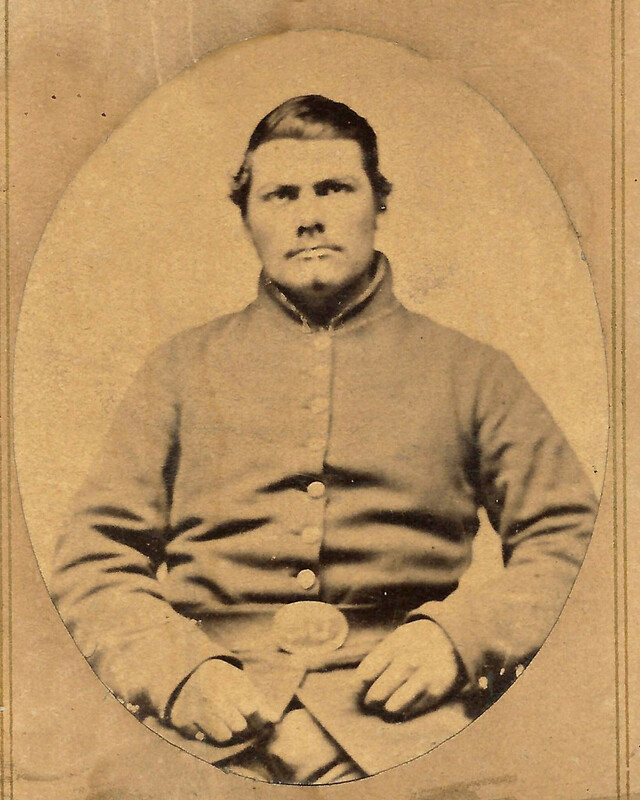 He died at the age of twenty-one of diphtheria in the regimental hospital at Fort Strong, Virginia on March 24, 1864, without seeing any significant action. He is buried in the Marlington Cemetery at Marlington, Quebec.